Last year, when I was packing up and getting my things together for my new job in Japan, I spent sometime in hunting for local gardeners, possibly English speaking. To my surprise, I found the contact of a Japanese nurseryman from Kyushu, with training in England (how small is the horticultural world sometimes!). Last October I went down to Kurume, his native town and place of work, to dialogue about his job and the Japanese nursery and garden industry. First of all, thank you for your time today. I know this is a very busy time for you at the nursery, as you have to prepare and deliver the plants to the garden centers. Yes that’s right. After the heat of the summer months, September and October is the time when the Japanese can enjoy the outdoors, so thinking about gardens and gardening again. Therefore most of the garden centers and landscaping companies order and buy plants at this time of the year. This is not the first time we met, but please refresh my memory about yourself and your path as a gardener and nurseryman. I came from a family of nurserymen. Wishing to pursue that path, I went to the University of Chiba (central Japan, east of Tokyo), which is the only Japanese degree providing a four-year course in horticulture, including theoretical teaching integrated with practical activities. During my studies at Chiba, I also went to New Zealand for one year and worked in two nurseries there, where I specialised in bulbs and trees & shrubs respectively. (I have to suppress some jealousy here, as I’ve always wanted to garden in the Southern Hemisphere!). After that I was accepted for the two-year Wisley Diploma in practical horticulture, so having the opportunity to live on site and learn about English gardening and gardens. At the age of 26 I was ready to go back to Kurume and give my contribution to the family nursery. Four years later, I became the owner, at a rather young age in Japan to take over a family business. Japan is famous for having “top threes” of everything: from gardens to sceneries, to castles and so on. I’ve heard Kurume is on the podium for nurseries. As a matter of fact, this area was famously described by plant explorers such as Ernst Wilson and Robert Fortune, as well as being famously associated with azaleas and camellias. How is it for you to be professionally based here? 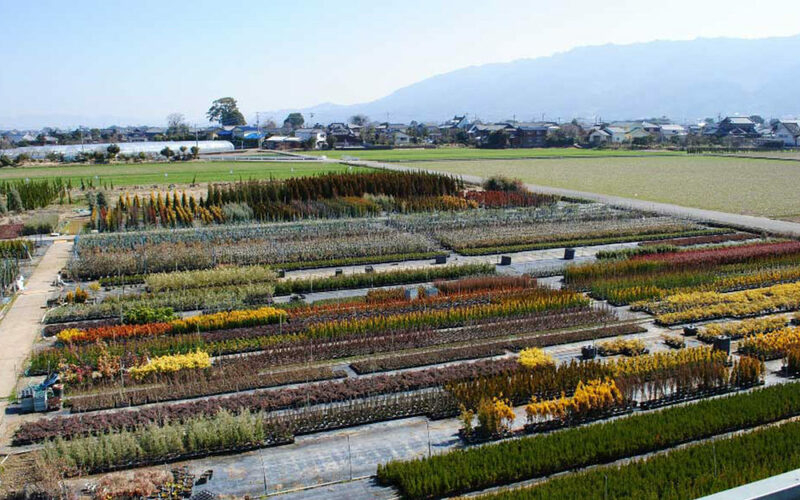 Yes, Kurume has long been important for plant nurseries in Japan. This all started at the end of the Edo Period (mid XIX Century). The presence of the Chikugo River proved to be decisive, being the source of extended irrigation and transports. Grafting was initially the main system for propagating plants and differentiating the stocks. 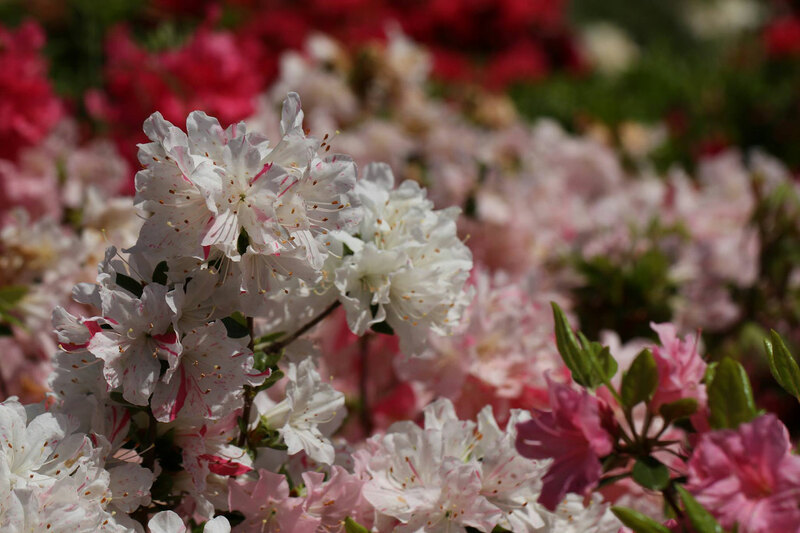 Camellias, roses, citruses and – of course – azaleas all responded well. Local people grew along with those small grafted plants, gradually gaining skills and experience. 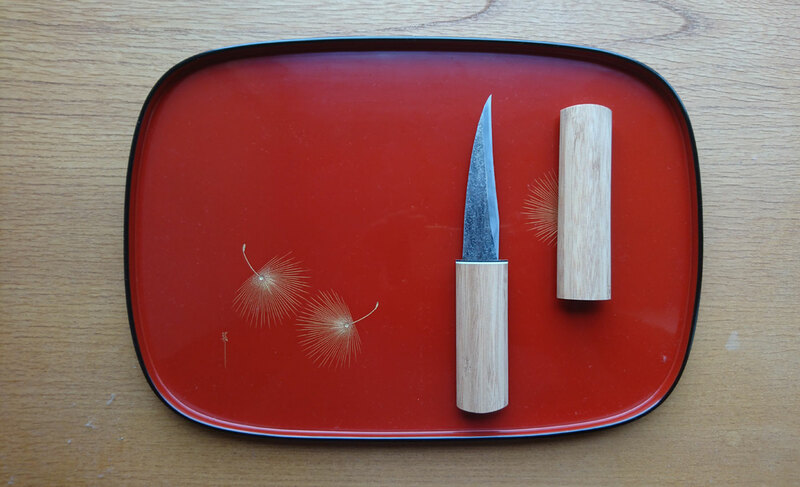 A local grafting knife from nearby town of Tanushimaru was developed. The blade’s curved shape is unique among the tools of this kind in Japan. (I ask Tomonori if he has one, and he nods affirmatively). 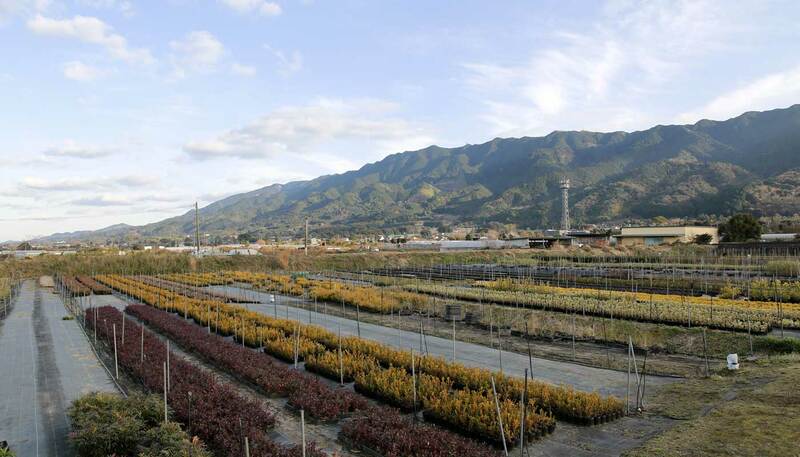 More recently, with the 1964 Tokyo Olympics and the bubble economy in the late 80’s, the Kurume nurseries continued and reinforced their tradition. Many plants were sent to Tokyo and Kansai. Today, despite the recession, things are still working well. There is a lot of competition but also specialization and skills, so that it is convenient to run a nursery here. You mentioned azaleas. Together with camellias, these are the most iconic plants from Kurume. Please allow me to interject and ask you about this group of plants. It is not totally clear now how and when exactly the first Kurume azaleas were bred. 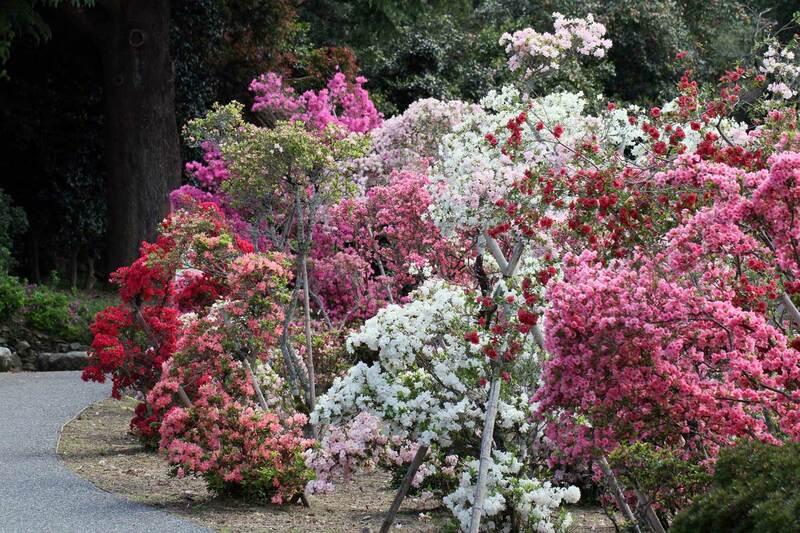 Motozou Sakamoto is credited in Japan to have found the way to germinate and cross azaleas. The original parentage is unknown, as the lineage was obtained by means of continuous and multiple intercrossing of grafts. Today, they are identified for three main characteristics: small flowers, vivid colours and compact habit. Such features indicate that Kurume azaleas were initially selected for bonsai display. I see. I bet those characteristics make them ideal for karikomi too (i.e. the Japanese style of topiary)? 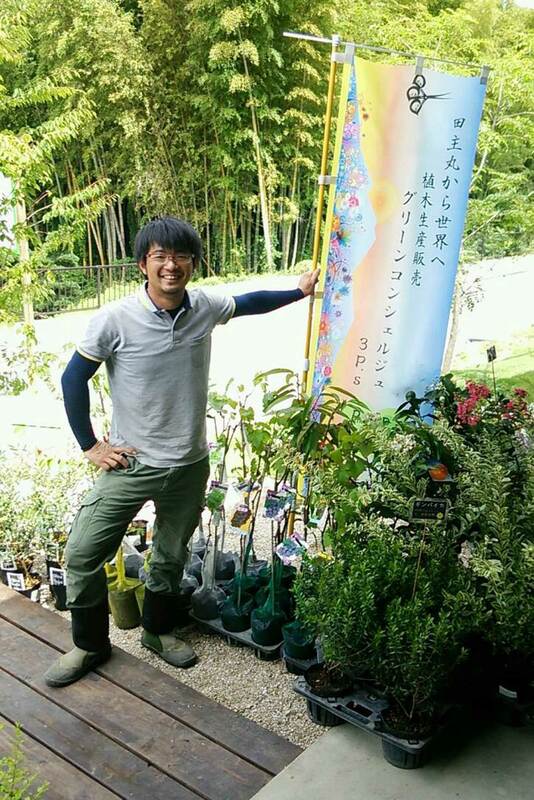 You have experience of the plant nursery industries outside Japan too. Which differences do you advert in the western countries compared to Japan? The main difference I can advert is in the selling system. In Britain and New Zealand, nurseries often sell directly to the public. They are somehow shops too. In Japan we don’t sell directly to the public. We deal and are strongly connected with the wholesale market (private, not public body). This system is based on plants’ auctions, similar to the Dutch Flower Market at Aalsmer. For me this can be inexpedient, as I usually don’t have any notice, just instant orders that need to be satisfied as soon as possible. This is the reason why my father had to switch from ground- to pot-culture. Traditionally in Japan we do the B&B system (i.e. barled and burlapped tree), but this is not really possible anymore, when you have to deal with instant orders and several steps of selling. For me pot-culture is less convenient, especially in terms of costs (equipment, growing media, watering, etc). 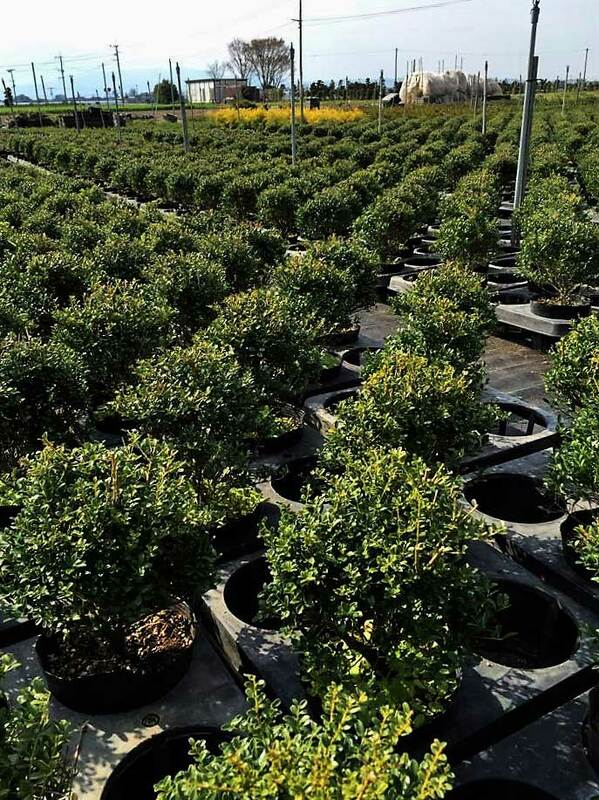 Together with the high cost of manual work, the long selling route (nursery – wholesale markets – garden centers/landscaping companies – private client) is among the reasons why quality plants can be highly expensive in Japan. Another difference I found is in the size of the nurseries. I remember 800-pound gorilla nurseries in England, like Hillier Garden Centers, able to cover all the aspects of the trade, or to sell directly to the government or – say – the Prince of Wales. In Japan this is unheard of. We tend to have smaller and perhaps less specialised nurseries here, often family orientated. The main point I would like to make is that Japanese nurseries need to open to the public. In my nursery I need to wait for the orders from the wholesale market of Kurume. There are specific periods in the year. Today in Japan, nurseries still depend on the wholesale market. I want to open to the public, but because of the prevailing culture and bureaucratic procedures, I am not able to do so. We don’t have anything like the RHS Plant Finder, so that it is not possible for people to know which plants are available and where. Private individuals are unable to choose their plants, because it’s the landscaper who goes to the nursery for them. I have a website, so people can see what I sell. However, I am not ready yet to sell plants directly to the public. One of my goals is to have public opening days and times at the nursery. 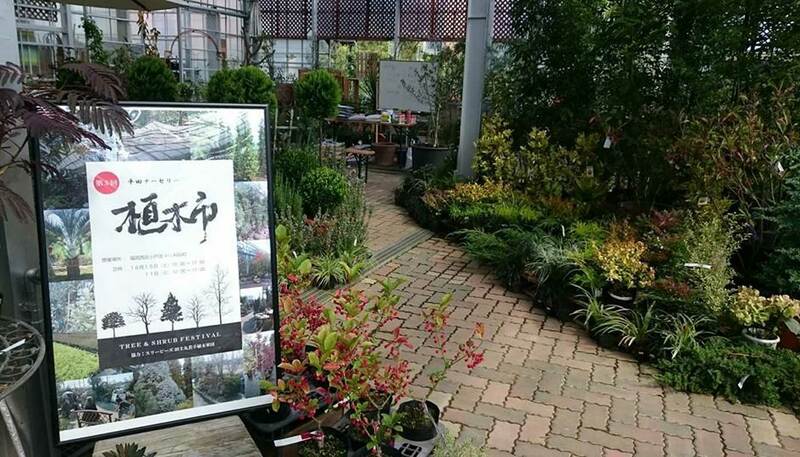 At your nursery kinka-en (please see: www.kinka-en.com) you grow a wide range of plants, with a focus in woody species. Please describe your philosophy and direction. 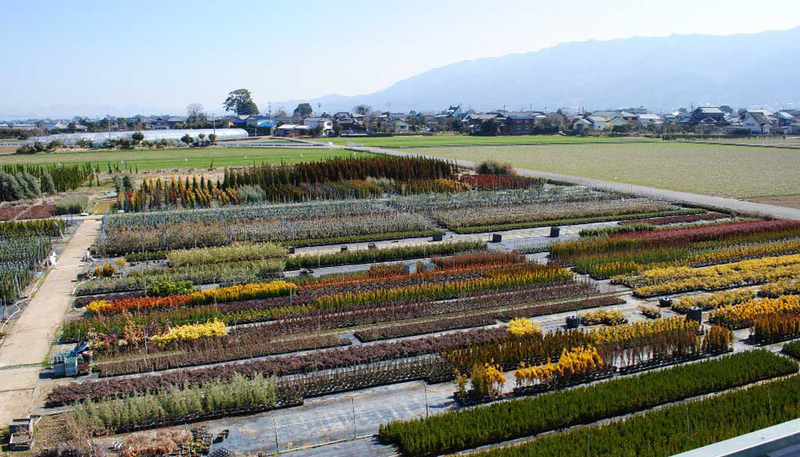 Yes, at kinka-en we grow mostly trees and shrubs. 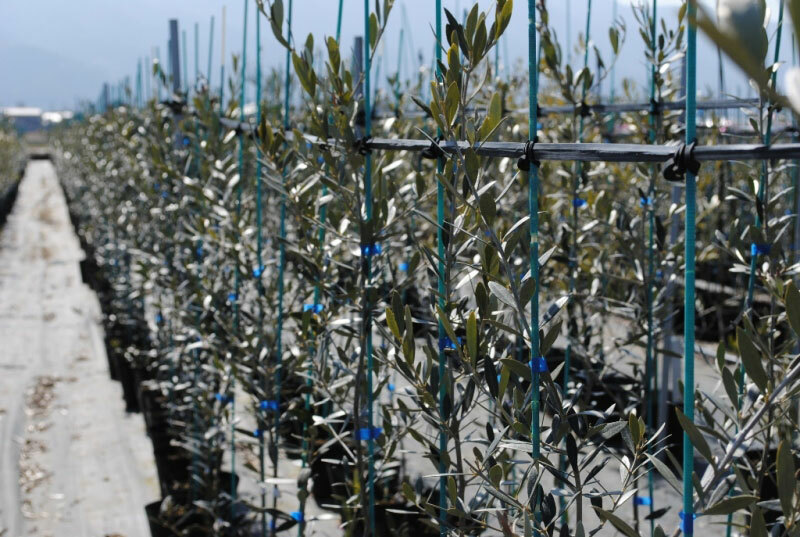 In the recent years we are moving towards the cultivation of more “exotic” species from the Mediterranean or even New Zealand, continuing a process of modernization that my father started. Many of the young people who buy a house now, want a western look for their gardens. Until 10 years ago you wouldn’t have seen multi-stemmed trees: they are now becoming popular. Also a variety of cultivars of crape myrtles, olives and modern conifers are now being introduced. Olives especially sell well, and I keep up to ten cultivars. Native species (traditionally used for niwaki, the typical cloud-pruned trees of Japan) are still in demand, but mainly for public spaces and parks. I am still growing native species, but I also need to keep an eye on the market trends. One traditional plant that I still grow is Juniperus chinensis ‘Kaizuka’. 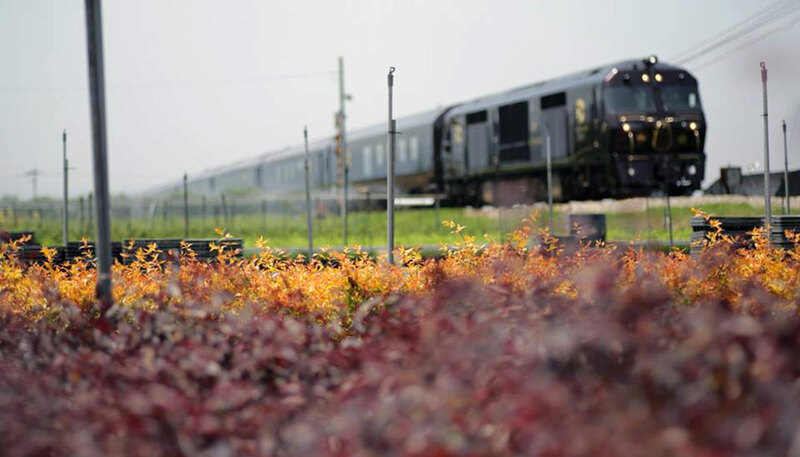 You will see this plant everywhere in Japan, from horseracing venues to Tokyo Disneyland. It accepts all the climates of the country and responds well to saltspray. However, just like Cupressus x leylandii in the West, Kaizuka has becoming a bit hackneyed and many nurseries stopped producing it. 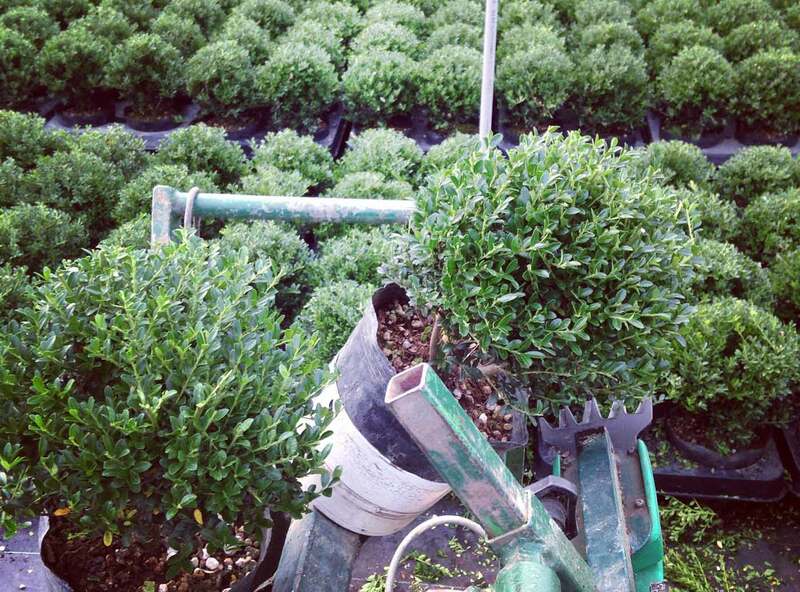 For my nursery it is an historically important plant and I will continue growing it… and have less competition for it! From my yet limited observations, I am noticing that activities and professions between gardens and nurseries seem to interconnect and overlap in Japan. Do you agree with that? Yes, there are some overlapping points. Take the words we use for gardener (niwa-shi) and nurseryman (ueki-ya): as a matter of fact ueki-ya can be everything, from the nurseryman to the gardener to the landscaper (there are also regional variations of the word). However, this connection is not only a mere interchangeability, but is often the consequence of enlargement. When a nursery becomes very successful and expands, they might want to do the maintenance too, in order to avoid the selling step (and make more money). Vice-versa, for the same reasons, a landscaping company might start growing their own plants. However, the two professions should always remain distinct. One of the distinctive characters of the Japanese culture is the “obligation” in satisfying the client’s request. Therefore, one wouldn’t ever say “no” when asked for a job, regardless the circumstances. But I believe there is a limit of competences and skills that should be respected and made always clear. Do nurseries in Kurume sell overseas? Yes, especially big bonsai and azalea bonsai; also things like peonies, both woody (botan in Japan, Paeonia suffruticosa) and herbaceous (shakuyaku, Paeonia lactiflora). Plants are sold easily to the Asian market. For the Western counties, the legislation is stricter. You’ll be surprised to know that Italy is the “port of call” for Europe. Because of the more open legislation, plants first go there, then are sent to the other European countries, British Isles included. Like many of the Japanese fine arts and crafts, gardening is carried out in a very traditional and hereditary way. The Sakuteiki is arguably the oldest book of gardening in the world and some of its principles and techniques are still followed. The work is passed often passed from father’s to son’s hands, with a long linear continuity. For example, the famous Toemon Sano, the “protector of the cherry trees”, is a 16th generation gardener. What is your feeling about this rather conservative approach? To continue and take over the family business is important. Skills, tools and techniques are maintained, together with a high pride for the local identity and profession. My father was my first mentor. When I was young, I was told that I had to take over the business. Initially I didn’t fully understand the reasons. Even today I wonder sometimes if this was my destiny; if this is what I was supposed to do as a nurseryman’s son and Kurume citizen. However, the sense of responsibility and pride to work in close association with the principles of my family and native land is growing day after day. On the other hand, we now need people coming from outside Kurume. We need to branch out. Otherwise many of the nurseries with no heir will decrease or die out. In years of population shrinking, the incorporation of people from other areas of the country will save many nurseries, as well as bring new skills and plants. New professionals will also benefit from a well-established network of qualified nurserymen and economy here. When I moved to Japan I was concerned by the fact that Japanese gardeners don’t use the scientific names of plants. (Or maybe I was just stupidly frustrated that I couldn’t get through the language barrier by using Latin? I thought, we have an international system; why don’t we use it?). Gradually I am finding that gardeners and nurserymen here do actually know their plants. It’s a different kind of knowledge though. If in the West we put focus on scientific classification and identification, in Japan people still tend to identify the plants for the aesthetic features, often developing a deeply tactile and symbiotic relation with plants. Do you agree with this opinion?Before the Meiji Restoration and the opening of Japan (from 1854), we only had vernacular names and a different system of identification and classification. Then western plant hunters came and started using their system. However, we have our names and we are attached to them. Sometimes they are very descriptive. Take Ilex aquifolium, hīragi in Japanese; now, Mahonia japonica is called hīragi nanten, where nanten is Nandina domestica. Can you see the analogy? One of my favourite plants is Hamamelis japonica. I found the Japanese name man-saku (literally “first flowering”) very beautiful and descriptive, isn’t it? Therefore, we use the Latin only if we need to deal with foreign companies or sell abroad; otherwise we stay attached to our own names. However, I agree with you, mistaken spelling can be a problem, especially in the pre-internet era (or even in books, since we don’t use the European alphabet, but the katakana one). My mind goes now to English gardeners. English and Japanese gardeners look very different (apart from the actual appearance: just search by image on google “niwa-shi” and “English gardener”). For what I know, the English gardener at his/her best aims to become a “plantsman”: a technician of plants; finally specializing on a restricted group of plants. The Japanese gardener focuses perhaps less on plants, but seems to be experienced in a wide range of skills, especially hard-landscaping related, such as moving and placing rocks, laying paths, constructing waterfalls, laying water basins and constructing bamboo fences. What is your opinion about it? I partially agree with you, but don’t forget the unique horticultural skills of the Japanese. Think about the unique way of pruning pines, involving both buds picking (midoritsumi) and needles thinning (momiage). That is a very specific job! Japan has a long tradition with pruning and this is obvious by looking at our niwaki, the typical cloud-shaped Japanese garden trees. 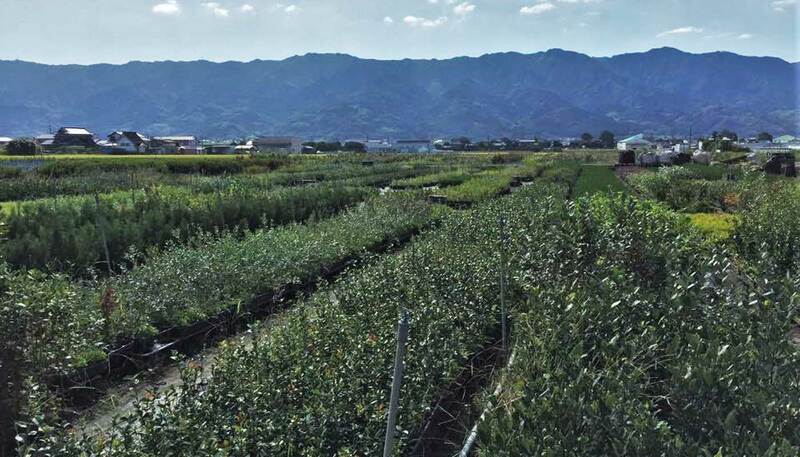 Pruning is a major task in Japan, for several reasons, such as the warm, conductive climate which forces growth, but also the importance of the right shape and balance of woody plants, especially evergreens. I would rather highlight the fact that ordinary people in Britain garden more than in Japan. Gardening is in the culture and habit of Britain, less of Japan. You have worked in both England and Japan. How would you compare the two work approaches of Japanese and Western gardens? First of all, I would say the perception of the garden environment is different. In Japan, the garden is primarily a place for rest and tranquility. This has to do with the connection with the temples and shrines. So you won’t see a single gardener at work in the daytime. If they need to work in an area, they will close that area to the public. This can be either good or bad. I remember when I was at Wisley, people used to approach me and ask questions. They could learn and try first hand at home. There is also a difference in the approach to tools and health and safety. Of course we don’t have in Japan all the quintessential British hand tools (edging shears, half moons), but we seem to forget about lawn mowers too. We use a strimmer instead! One of the consequences is that in Britain people are more aware of Health and Safety regulations. In Japan it is changing a little bit, but still you won’t see basic PPE (Professional Protective Equipment) even in professional companies. I have a story here. When I was at Wisley Chinese workers came one day to build a Chinese pagoda. They presented themselves in casual uniforms and kung-fu shoes, and started erecting bamboo scaffolding. It took only a few days and they were all given proper safety equipment! Finally, as a person who was passed the business and skills by previous generations, as well as trained abroad, what are your feelings about modern Japanese gardens and garden craftsmen? My hope is that the approach will be a bit more open. General people especially think about gardening as too much of a professional job. Of course there are difficult tasks and the climate in Japan is not always easy for growing plants. But people need to try first hand! Ask the gardeners, read books, check on the internet. I consider one of my jobs to show the public how easy it can be to grow and maintain plants. That will help us to get away from the wholesale system. People need information and knowledge.